Investment Property from Preforeclosure to Auction to Upset Bid! ePreforeclosures.com will post the foreclosure sales results within hours of it being recorded! There is NO OTHER SITE THAT GIVES YOU ALL THIS DATA, THIS FAST!! The most recently recorded Notice of Mortgage Defaults. 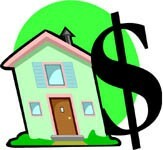 The upcoming foreclosure sales info, dates, times & available opening bids, updated business days every hour! The most current Upset Bid information available, updated daily (Wake County ONLY). As well as links to important information to help make quick work of the analysis and due diligence required for the properties you find interesting. Giving you more time to see homes and make money! small portion of the data would eventually discourage the most ambitious investor! Check out the sample data and format. All information Gathered and Presented is from the County Court House. It is deemed 100% correct and reliable but no guarantee can be made or implied as to it's accuracy. © ePreForeclosures.com, 2001-2019. All Rights Reserved.